As an Automotive Repair facility or Smog Check Station, your ARD (Auto Repair Dealer) or SMOG check license is your livelihood. Being certified and remaining in the good graces of the Bureau of Automotive Repair is essential to your bottom line. But if you have received a letter or an Accusation from the Bureau of Automotive Repair, your STAR certification or license may be in danger. You need to find the best attorney to represent you. 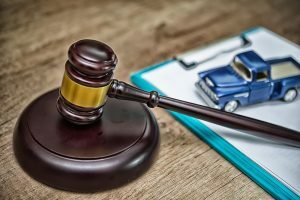 The attorneys at Automotive Repair Specialists are experts in defense proceedings against the Bureau of Automotive Repair. Here are some reasons why our goal is to be the best attorneys for our clients in any Bureau of Automotive Repair action. We are specialists. Led by William Ferreira, our law firm specializes primarily in defense work against the Bureau of Automotive Repair. We are not a team of lawyers who occasionally represents auto repair shops, SMOG stations, and technicians: this is our primary area of legal work. If you have received a letter from the Bureau of Automotive repair, a citation, or even an accusation, reach out to our expert attorneys. We’ll give you a free phone consultation and determine how we can be not the best attorneys in California for fighting the BAR, but the best attorneys for you and your individual case. Our goal is unique to you. Call (415) 392-2886 or (310) 255-0227 or send us an email. We can help.